Total Basement Finishing of Western NY, formerly First Buffalo Total Basement Finishing, is a locally-owned and operated company and authorized installer of the state-of-the-art basement finishing system in Greater Buffalo, Rochester. We transform basements into usable, comfortable living spaces using a system that's specifically designed for the basement environment. All of the products we install are waterproof and mold and mildew resistant. We offer a free basement remodeling consultation with a highly-trained design specialist that's committed to working with you in planning the basement of your dreams. 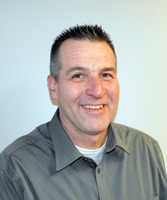 Mike Werbowski has been in basement waterproofing and remodeling industry since 1990. Before starting Total Basement Finishing of Western NY, Mike owned a successful basement waterproofing company and was later a manager of one of Western New York's most respected waterproofing companies. He is also educated in interior design. Mike has spent a lot of time in basements and has seen just about any problem you can think of. Knowing the challenges and having seen remodeled basements ruined over and over again by water and mold, Mike has teamed up with Total Basement Finishing to offer homeowners a waterproof basement finishing solution. When he's not helping homeowners transform their basement, Mike enjoys spending time outdoors with his family going camping, hiking and skiing. A world where Basement living space is Healthy, Beautiful and Maintenance Free. To always be THE team of WINNERS who work great together, INSPIRING our customers to say WOW! Integrity, Team Work & Friendliness! Total Basement Finishing of Western NY services many areas including Buffalo, Rochester, Niagara Falls and Henrietta, Penfield, Clarence, North Tonawanda, Jamestown, Grand Island, Lockport. View our service area page for a complete listing of New York towns.